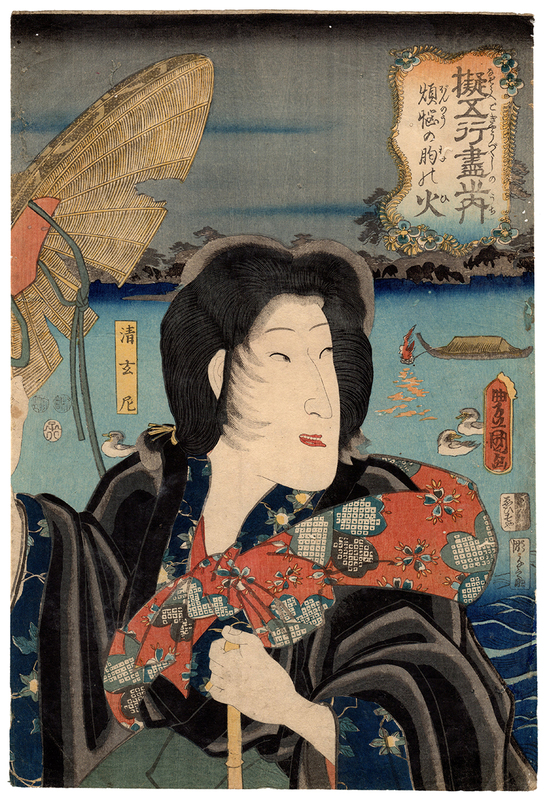 Fine polychrome woodblock print made in 1852 by the artist Utagawa Kunisada (歌川国貞) and depicting the actor Bando Shuka I (初代坂東しうか) playing the role of Princess Hanako (花子姫), portrayed here as a beggar on the banks of the Sumida River (隅田川) after becoming a nun with the name Seigen-ni (清玄尼), following the news that her beloved Matsuwakamaru (松若丸) would marry her younger sister, Princess Sakura (桜姫). 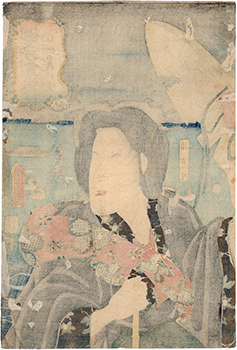 The work, entitled "Fire: The Flames of Passion in the Heart" (煩悩の胸の火), was printed by the publisher Ebisuya Shoshichi (恵比寿屋庄七), owner of Kinshodo (錦昇堂), and is taken from the series "Collection of Exemplars of the Five Elements" (擬五行尽之内). 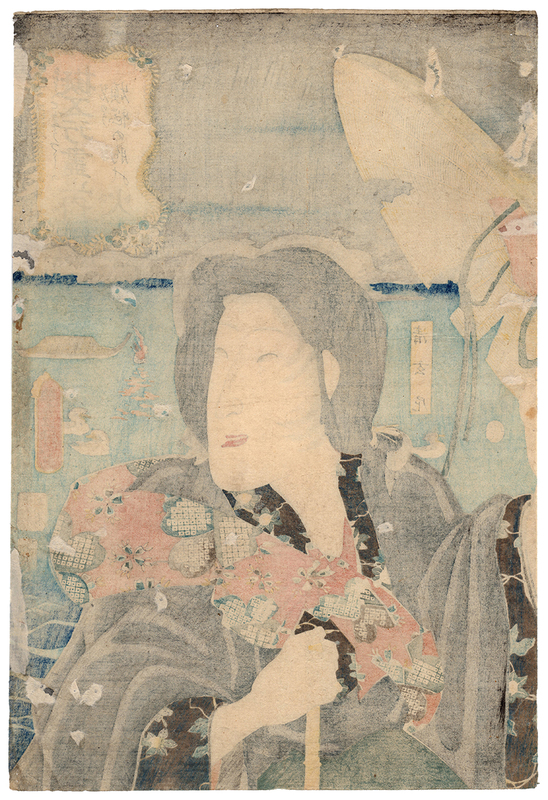 The print on Japanese washi paper (和紙), despite the signs of worming and the restoration visible on the back, is in good general condition.